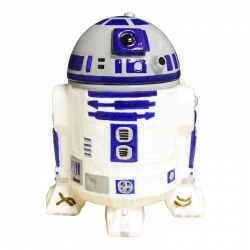 Whether you're an old school fan of Star Wars from a long time ago (the 1970s and 80s) or a new recruit to the resistance, there is no doubt that the force is with this movie franchise. Every time a new movie hits the screens sales skyrocket, so keep an eye on the latest release dates. 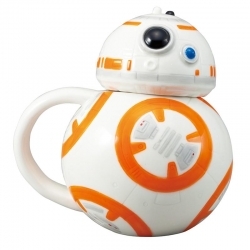 BB-8 3D ceramic mug with lid. Height 12cm. Gift boxed. Licensed product. 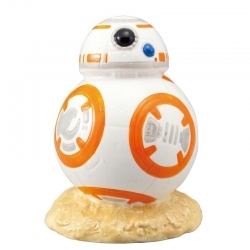 BB-8 ceramic money box. Height 12.5cm. Gift boxed. Licensed product. 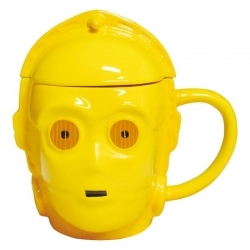 C-3PO 3D ceramic mug with lid. Height 12cm. Gift boxed. Licensed product. 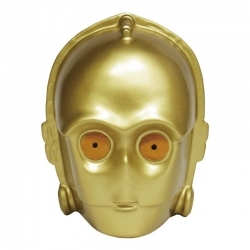 C-3PO ceramic money box. Height 11.5cm. Gift boxed. Licensed product. 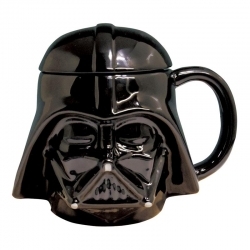 Darth Vader 3D ceramic mug with lid. Height 10cm. Gift boxed. Licensed product. 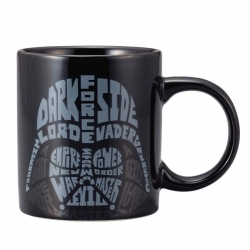 Darth Vader Typography ceramic coffee mug. Height 9cm. Gift boxed . Licensed product. 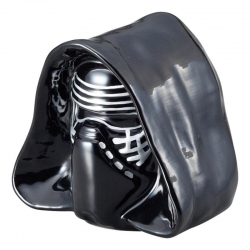 Kylo Ren ceramic money box. Height 11cm. Gift boxed . 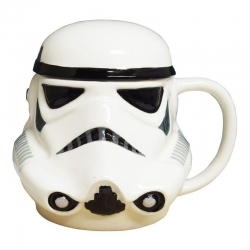 Licensed Star Wars product. 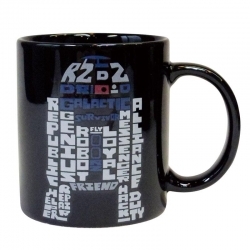 R2-D2 Typography ceramic mug. Height 9cm. Gift boxed . Licensed product. 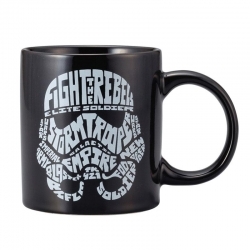 Stormtrooper Typography ceramic mug. Height 9cm. Gift boxed . Licensed product.